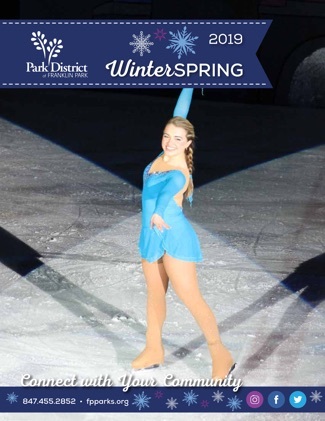 Home homepage Get Into the Spirit of the Olympics at the Franklin Park Ice Arena! When the Winter Olympics kick off on February 9, 2018, many of us will find ourselves checking in on the excitement during its two-week run. Children will mimic the actions of the many fast-paced Winter sports and adults will wonder, “can I still do that?” Well look no further than your own backyard and head over to the Ice Arena to make your skating discovery! If it’s been a while since you last had skates on your feet or if you’ve never tried it at all, come by for one of our weekly public sessions to test your skills. The whole family can enjoy this together! The 2nd and 4th Wednesday of every month is our popular DJ SK8 from 7:20-8:50pm. 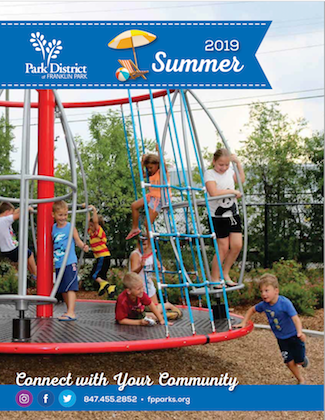 A kid-favorite and at no extra charge from our regular sessions. If all goes well, there’s a variety of options to further your skating adventure! The Franklin Park Ice Arena offers figure skating and hockey lessons starting at age 3 all the way up to Adult. As students’ progress through our Skating School, they have the option of competing in local competitions, performing in one of our ice shows, joining one of our Starr Blades Synchronized Skating teams or taking part in our Summer Skating Camp! If you’re interested in taking skating lessons, please contact our Skate School Director Anne Raucci at araucci@fpparks.org. 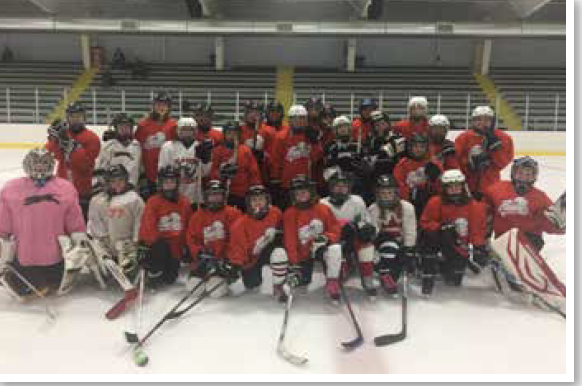 Participants in our Panther Paws Youth Instructional Hockey Program can eventually build their way up to joining our Panther Hockey teams who compete in the Northwest Hockey League. We even have a Panther Girls Hockey program that competes in the Northern Illinois Hockey League! Several camps and clinics are available to our Panther players all season long so the opportunity is always there to build and strengthen their skills. Adults can get in on the action too! Our Skating School offers a Beginner and Intermediate level class for teens and adults all year long. Hockey enthusiasts can join our I.N.T.L. (It’s Never Too Late) Adult Instructional Hockey class to learn the game from the start. Once they feel strong enough, they can attend one of our weekly open hockey sessions or join our popular Adult Hockey League. Anyone interested in any of our hockey programs should contact our Assistant Manager Tim Monroe at tmonroe@fpparks.org. Don’t forget Speed Skating! The Franklin Park Speed Skating Club practices weekly, September through March. Those interested in this high energy sport should contact Dejan Gakovich at 630-853-0453. We know you’ll be inspired when you’re watching the Olympic fun and we can’t wait to help you or your family achieve their skating dreams! We look forward to meeting you!